M&M Refrigeration’s series of packaged ice rink chillers are based on our well-known reciprocating compressors, high efficiency evaporators with flooded surge drum, and M&M System’s Ice Rink Control System (IRCS). 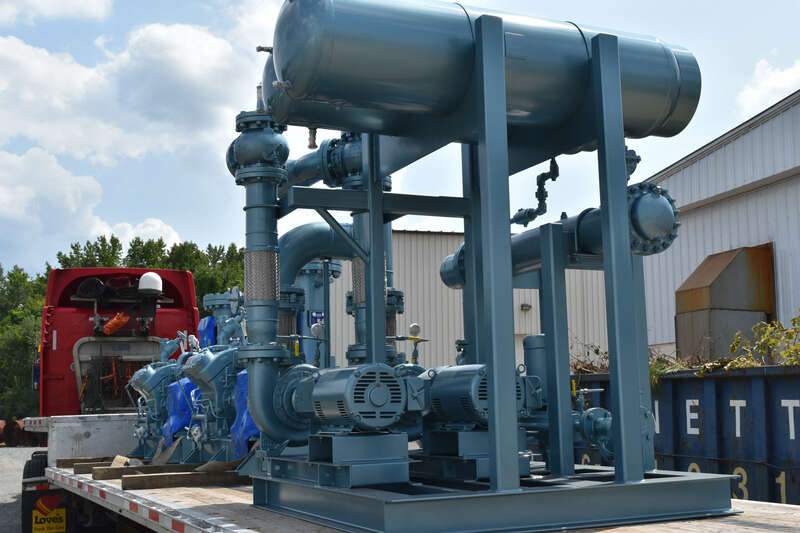 The wide range of standard ice rink chillers consists of two-compressor units for single rinks and three-compressor units for double rinks. Our standard refrigerant combinations are ammonia or HFC refrigerant with ethylene glycol. Other refrigerants/glycol combinations can easily be offered on request. For more information on custom configurations to meet your needs please contact our sales department.